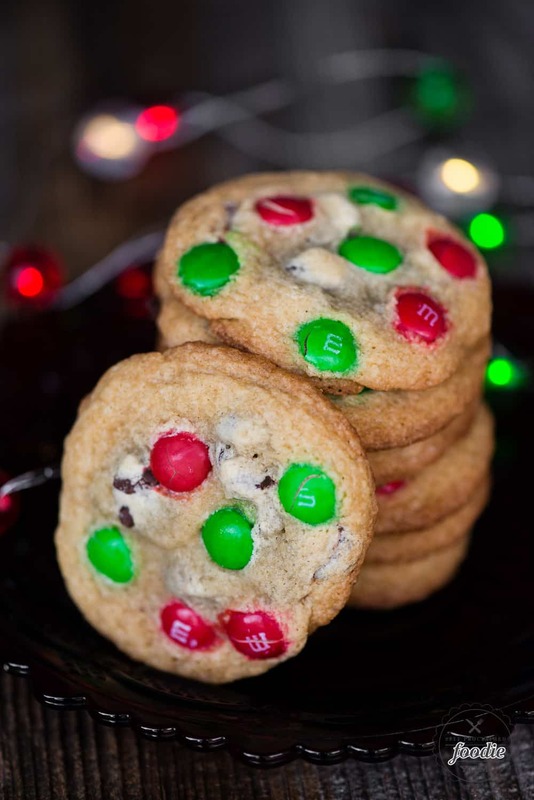 M&M Cookies combine my favorite chewy chocolate chip cookie recipe with festive M&M candy to create the perfect Christmas cookies! 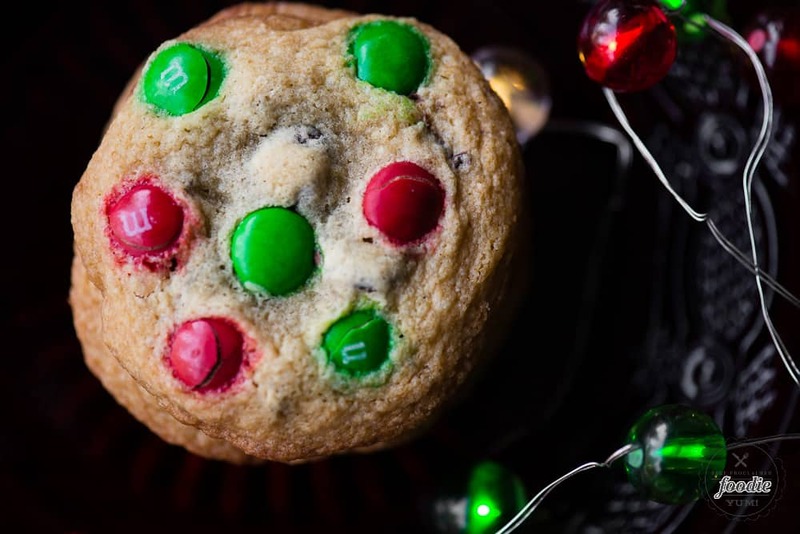 You can make these homemade chocolate chip M&M Cookies any time of year using any kind of M&Ms. 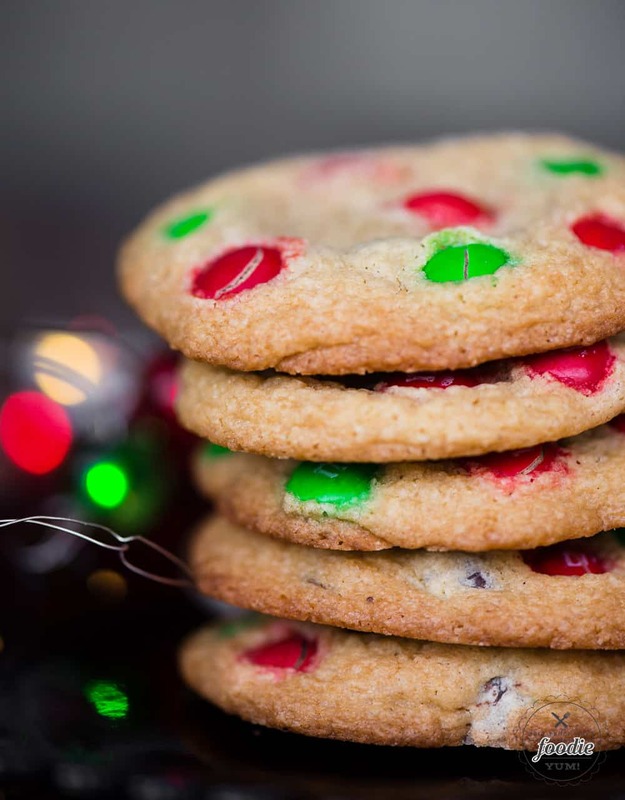 These are the best red and green holiday cookies to bring to a party too! M&M Cookies aren’t rocket science. I pretty much took my favorite chocolate chip cookie recipe of all time and added Christmas M&Ms. Well guess what? BAM! It was a really delicious cookie that everyone loved! If you’ve ever been in search of the perfect chocolate chip cookie, well then you’ll love these M&M Cookies! The first step to most cookie recipes is to cream the butter and sugar together. 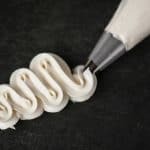 I actually prefer to cream the butter, sugar, and vanilla together to really infuse that vanilla flavor. You simply can’t overmix butter and sugar so be sure to make it light and fluffy. Next, you’ll mix in the eggs and then finish by mixing in all of the dry ingredients. The final step is to mix in the chocolate chips and M&Ms. The color on the M&Ms will bleed if you over mix the batter, so do it gently. 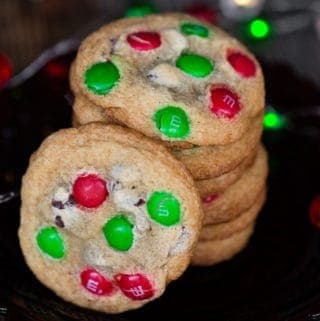 You’ll spoon your cookie dough onto the baking sheet and then top your M&M Cookies with even more M&Ms. The color will bleed just a bit if you add the M&Ms prior to baking, so if you want them to look perfect, you’ll want to stick them in the cookie the second you pull them out of the oven instead. I care more about what they taste like, so I usually go with option 1, but I’m sure the color bleed will bug some folks. 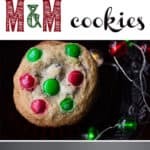 M&M Cookies combine my favorite chewy chocolate chip cookie recipe with festive M&M candy to create the perfect Christmas cookies! You can make these homemade chocolate chip M&M Cookies any time of year using any kind of M&Ms. These are the best red and green holiday cookies to bring to a party too! In small bowl, mix flour, baking soda, baking powder and salt. 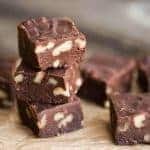 In the bowl of your stand mixer with the paddle attached, beat butter, sugar, and vanilla on medium speed until well blended. Beat in egg, mixing well. Add flour mixture, and beat slowly to incorporate, then faster to blend well. Stir in chocolate chips and half the M&Ms. 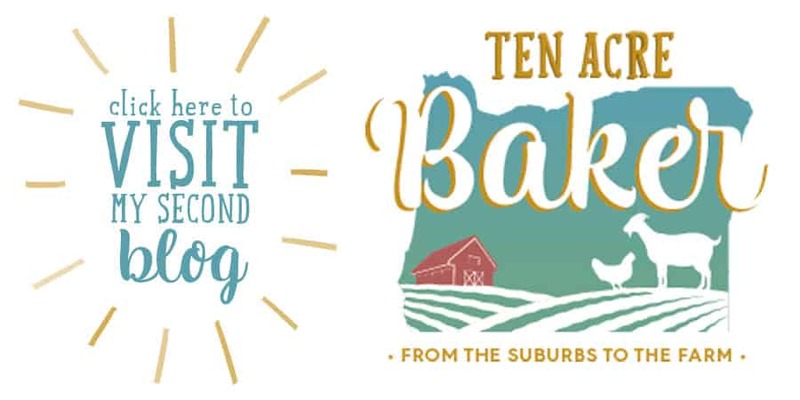 Drop batter in 2-tablespoon portions about 2 inches apart on baking sheets. Top with additional M&Ms, pressing into the batter so that they stick. Bake in preheated oven until edges of cookies are brown, about 6 to 9 minutes. Let cookies cool on pan about 5 minutes, then transfer to cooling racks with a spatula. Serve warm or cool. 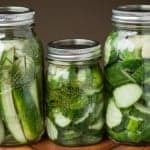 Store in airtight container, or freeze for longer storage. 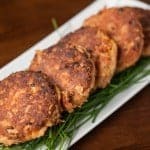 These were fantastic. My family are chocolate chip cookie critics and I think these are our new favorites!